Danielle Hopping had a life -threatening scare when there was a fire—because she couldn’t hear a thing going on outside her door. Hopping, 40, has been on her own since her mother passed away in 2016. “My mother lived with her parents, and the three of them helped me and my brother growing up after my dad passed away,” said the SA Pastor. She never thought of a canine companion to help her with her hearing loss until she started watching Sue Thomas-F.B. Eyes on television. A canine helper seemed the perfect solution to Hopping’s dilemma. She contacted Canine Companions, where volunteer trainers teach service dogs for an array of disabilities. It took 22 months of training before Nadia was able to go home with her new mistress, but Hopping’s safety and quality of life have greatly improved—Nadia’s is her “ears,” as well as a faithful and loving companion. Kara Dorsey, New Executive Director for Canine Companions for Independences’ new Hudson Valley regional office. Hopping, a Pastor and Finance Officer at the Salvation Army in West Nyack, shard her story in an e-mail exchange with The Rockland County Times. “I could be moved anywhere and my position can change—though I remain a pastor. In a way, the Salvation Army is akin to the military.” She also teaches others American Sign Language in the organization’s Eastern Territorial Headquarters, where she is based. If she’s transferred, her best friend and hearing “aide”, Nadia, goes with her. Canine Companions for Independence has been in the business of improving lives for more than 50 years and has six central locations in the U.S. and several satellites, one of them opening in Orange County to serve the Hudson Valley in 2017. 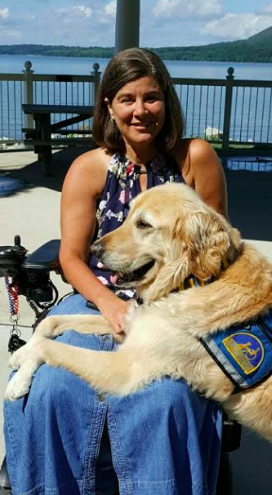 The new CCI satellite’s executive director is Kara Dorsey, who has been wheelchair-bound since a car accident in her 20’s and is able to keep up her busy pace thanks to her own service dog, Brewer, is the head of CCI’s newest satellite. 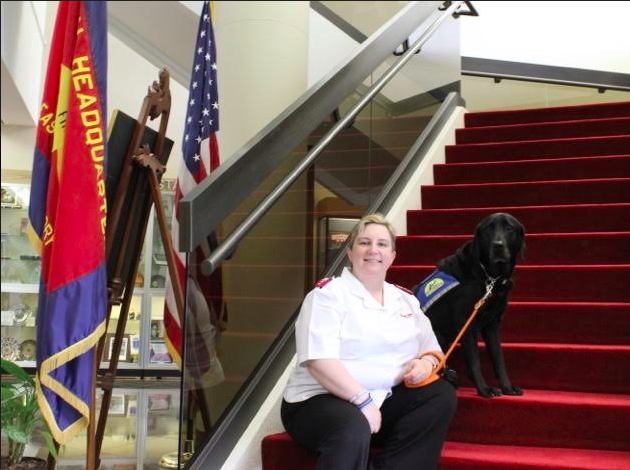 Dorsey, who previously worked closely with Independent Living for several years, is now tasked with making the CCI Chapter in the Hudson Valley a place where people can learn more about what service dogs can do to improve the quality of living for so many disabled, whether it physically or psychologically. To learn more about Canine Companions contact www.cci.org.